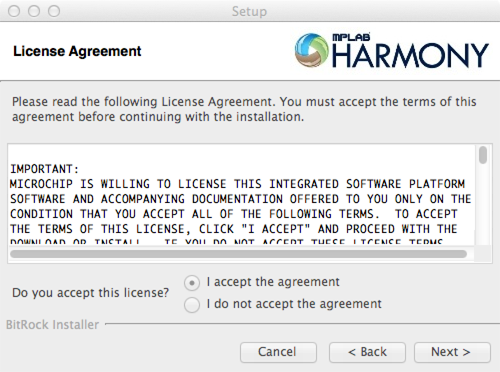 If you concur, select "I accept the agreement" and click Next >. 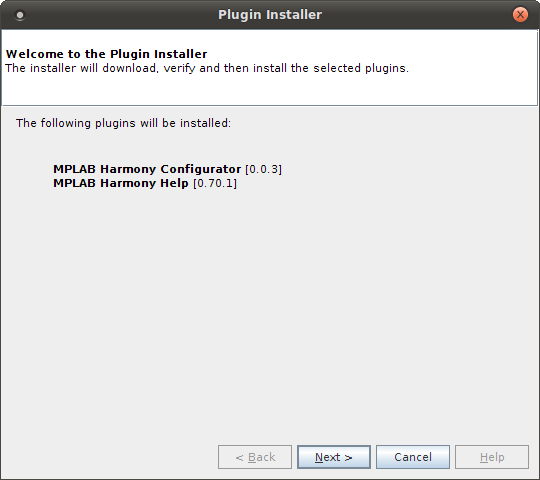 If you wish to choose an installation location other than the default, you may do so here. 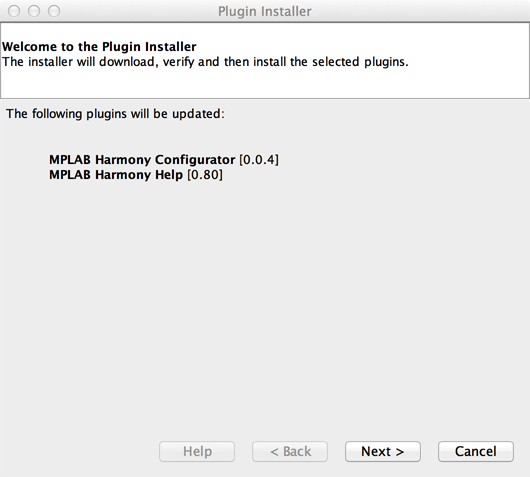 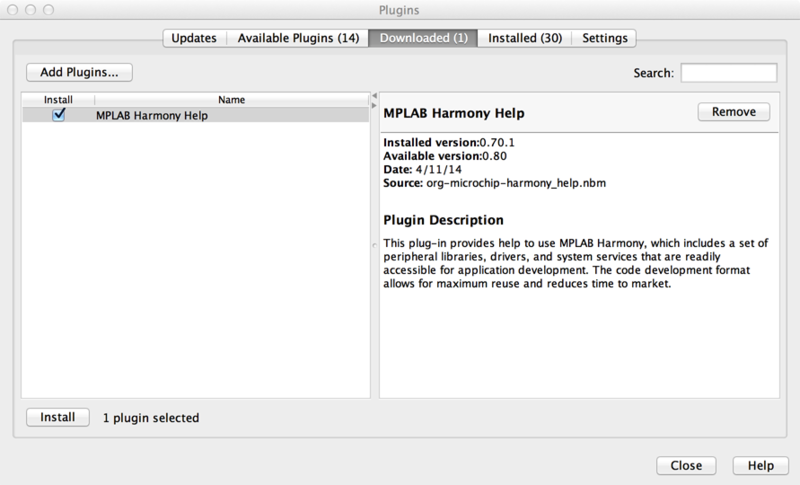 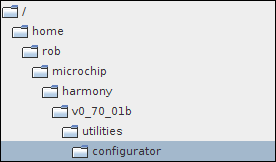 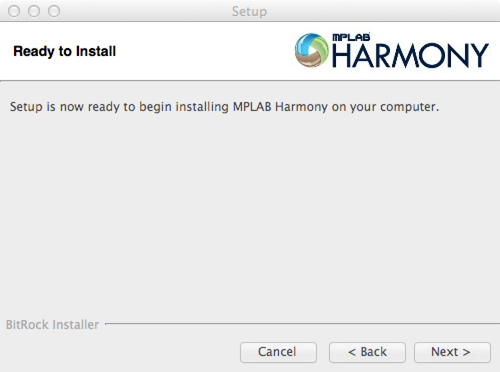 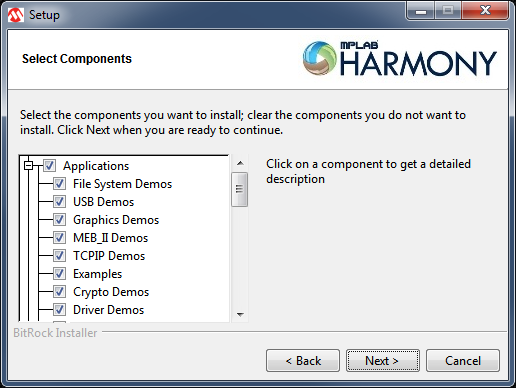 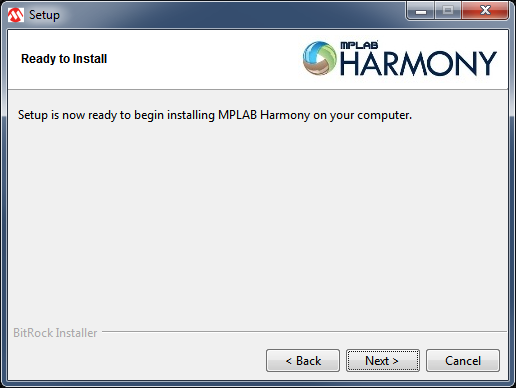 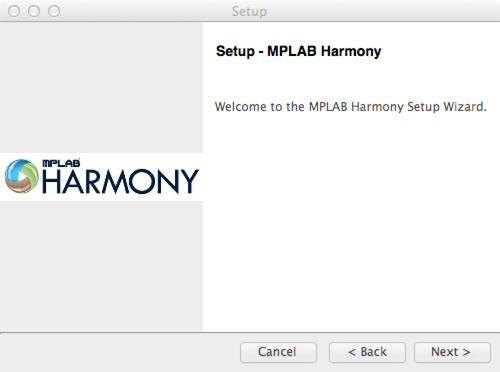 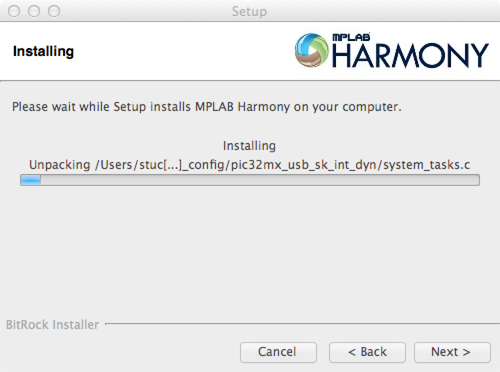 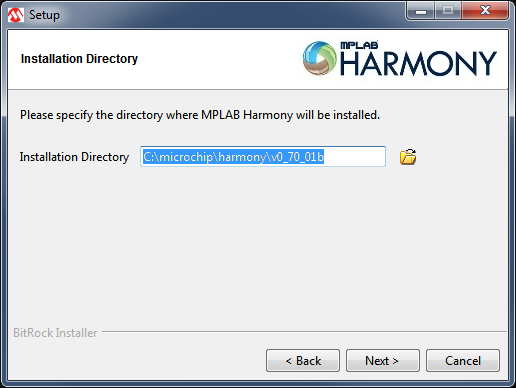 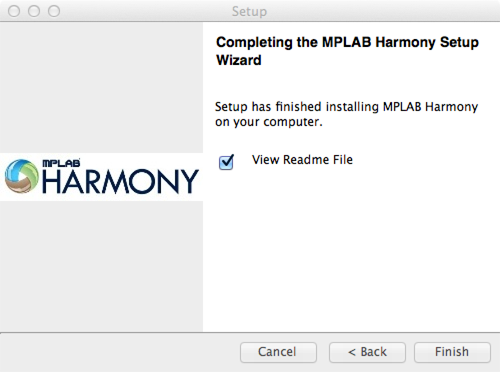 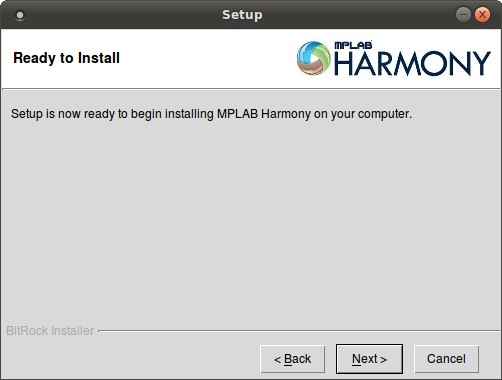 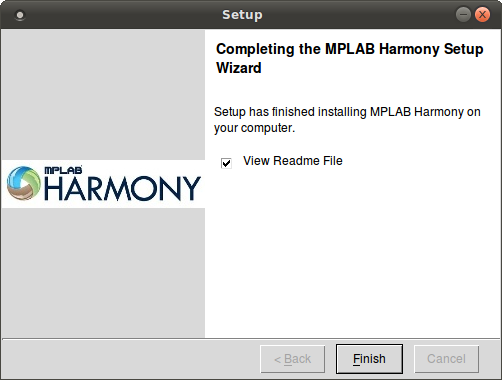 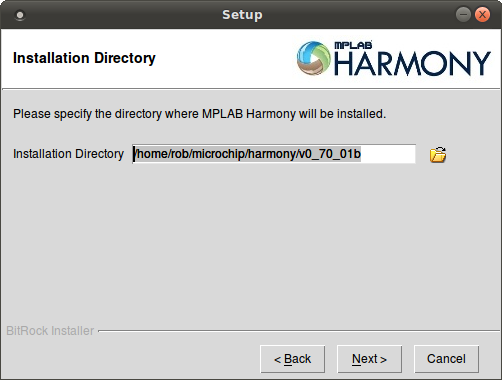 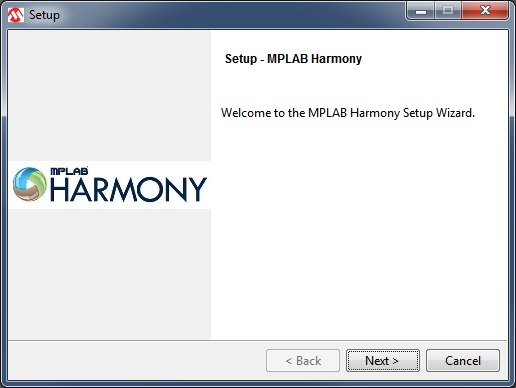 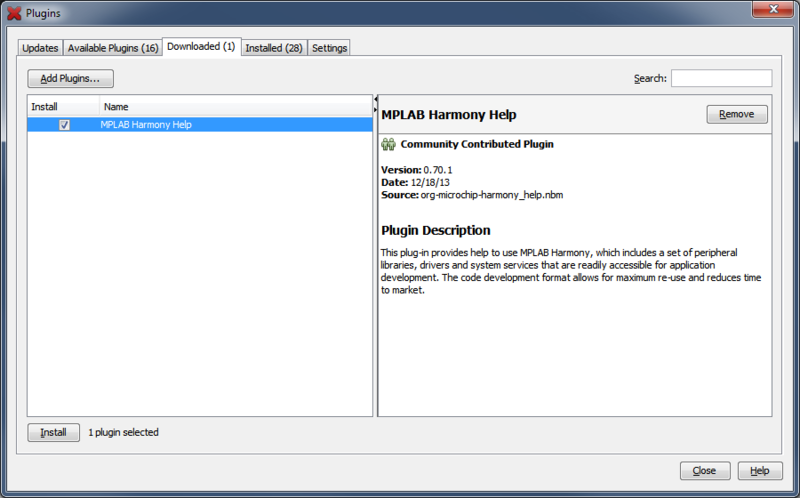 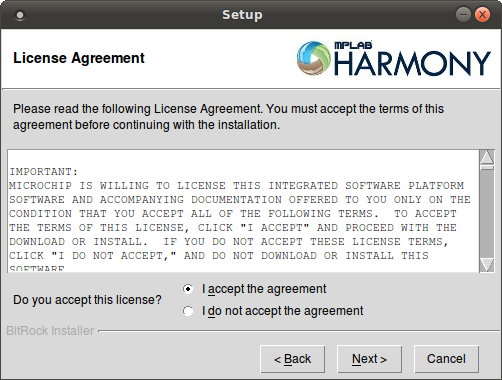 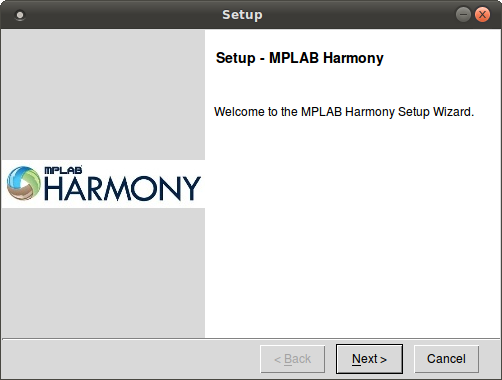 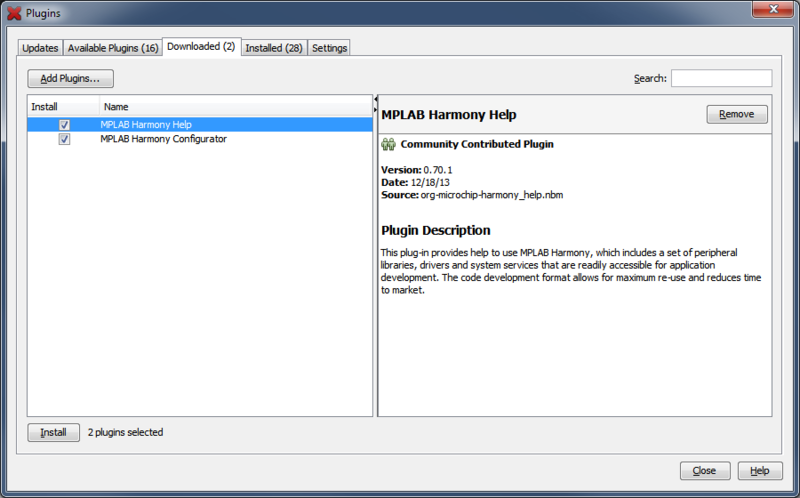 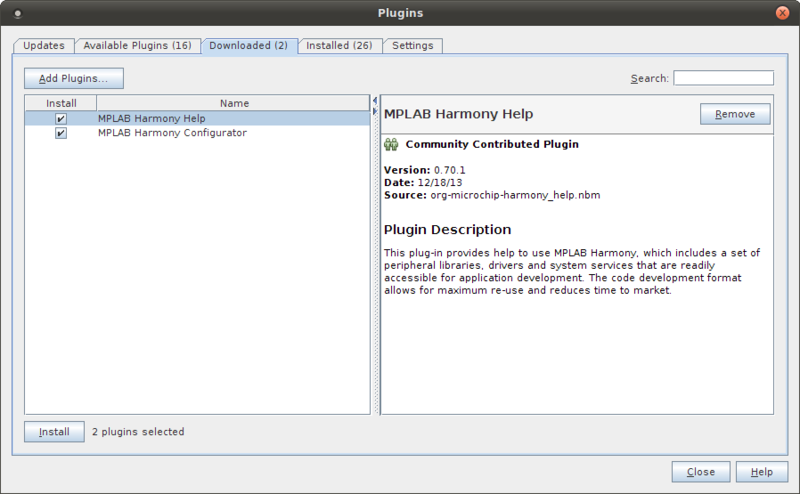 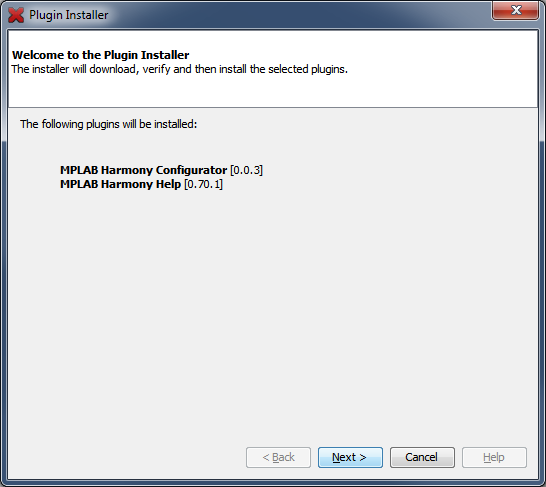 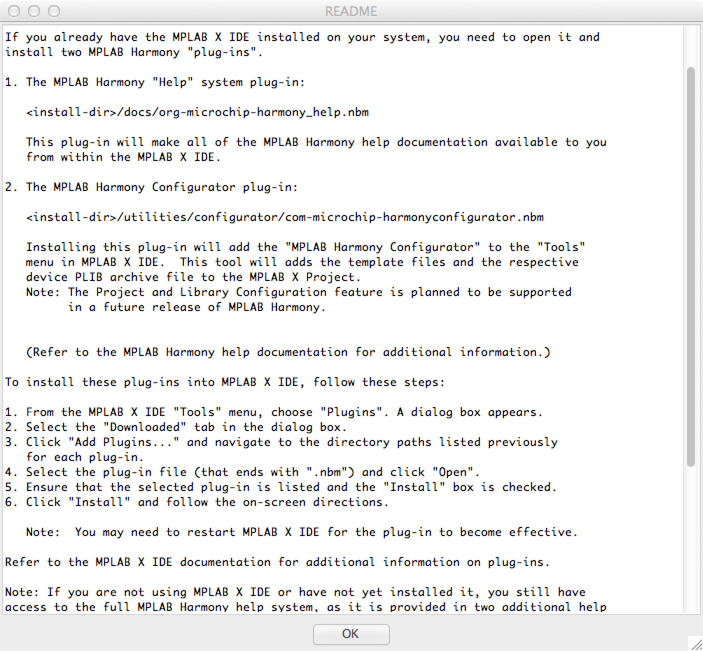 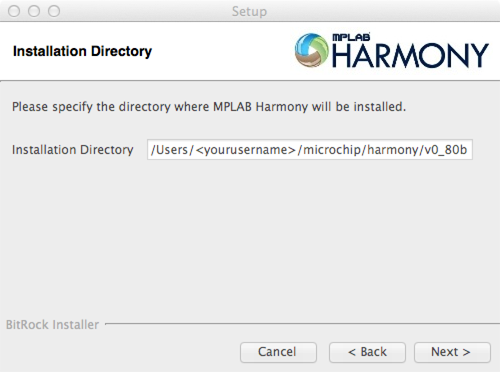 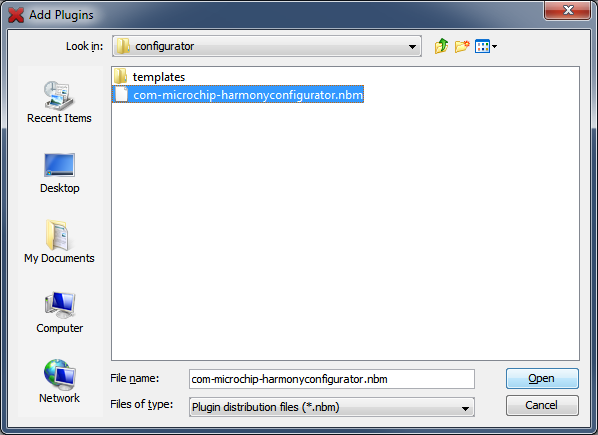 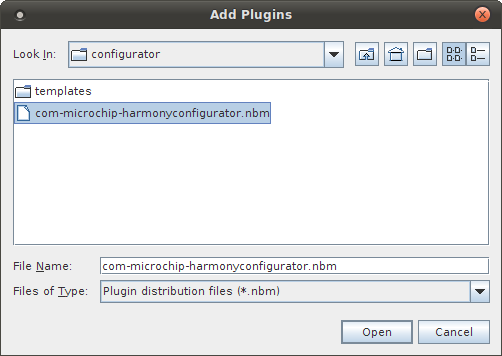 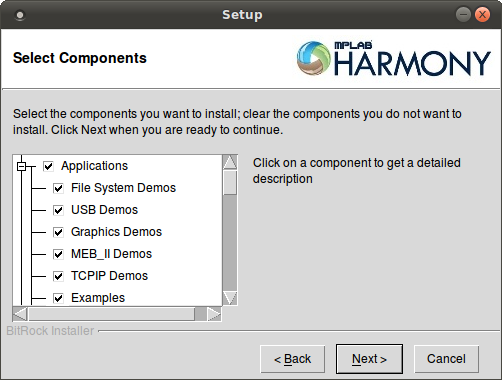 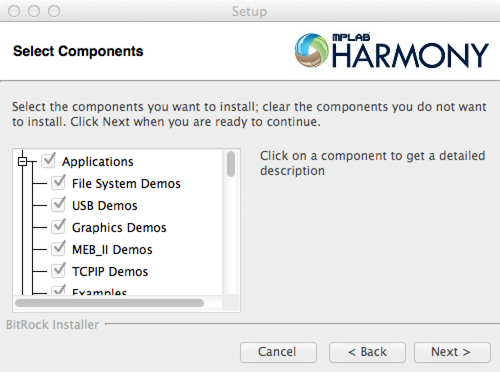 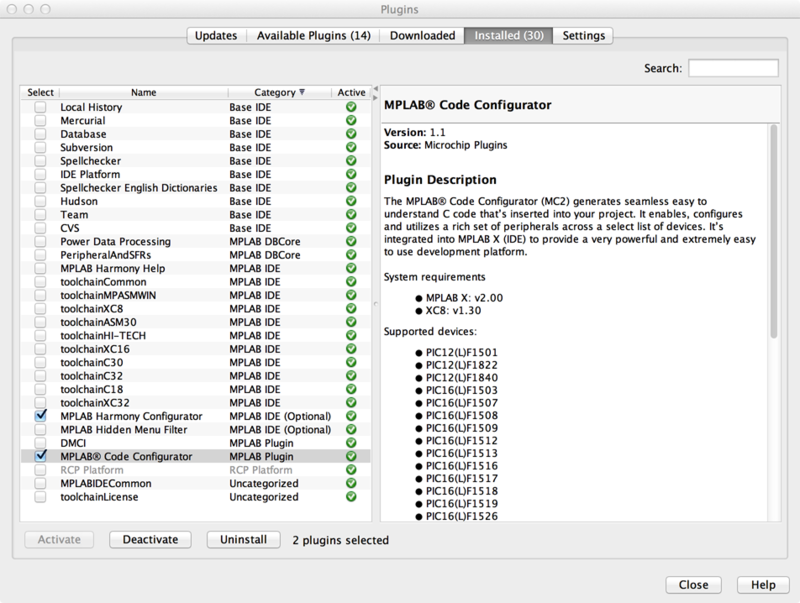 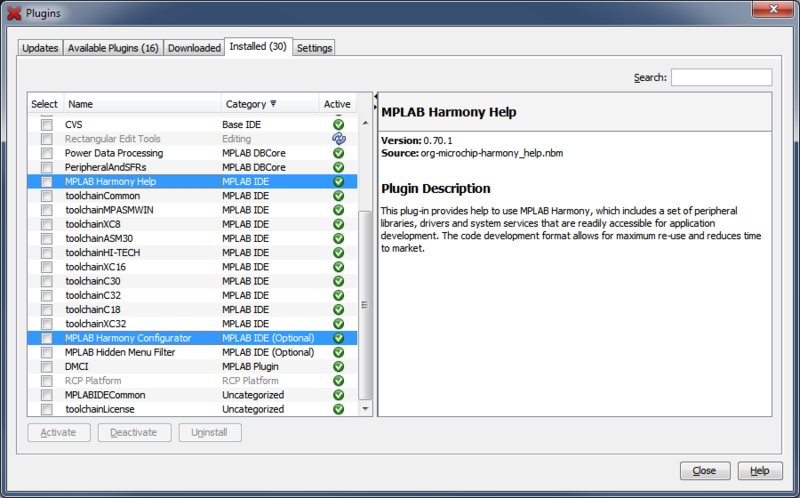 In some instances you may only want to install modules from the MPLAB® Harmony framework that you plan to use. 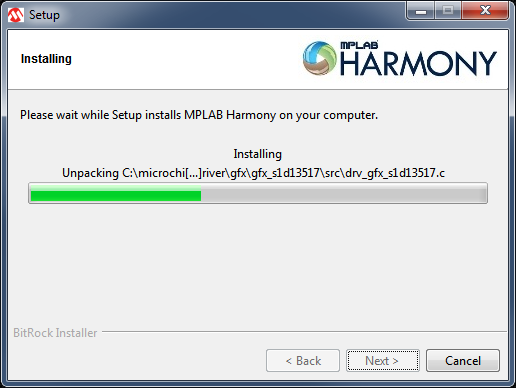 If this is the case, uncheck any module you do not want to install. 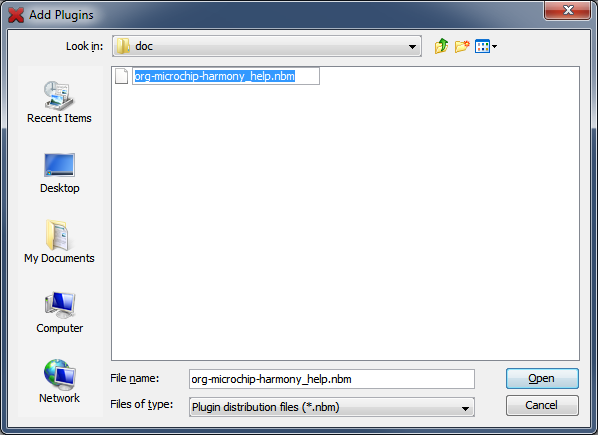 This will only save space on your PC. 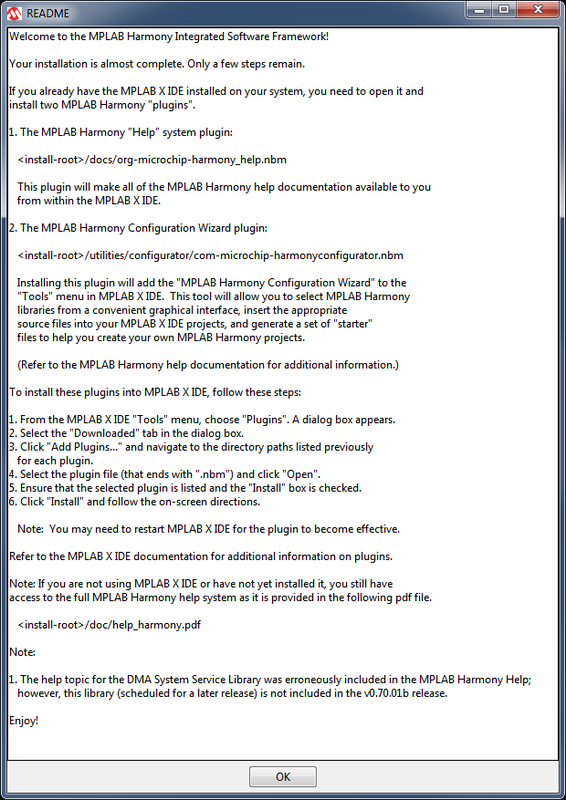 Unused modules will NOT be compiled into your application. 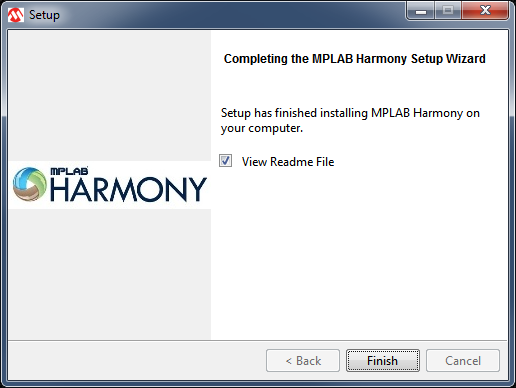 Leave the "View Readme File" box checked - it will provide critical instructions to complete the installation. 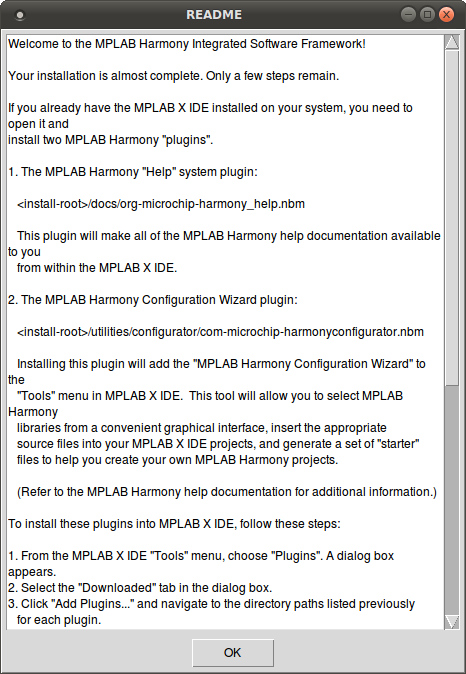 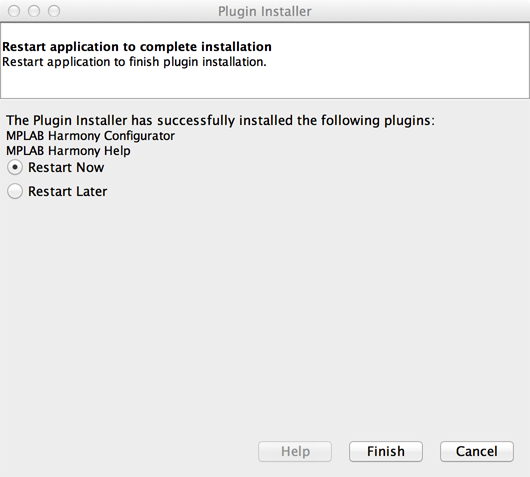 The readme file briefly describes the need to install two plugins within MPLAB X IDE to use MPLAB Harmony effectively. 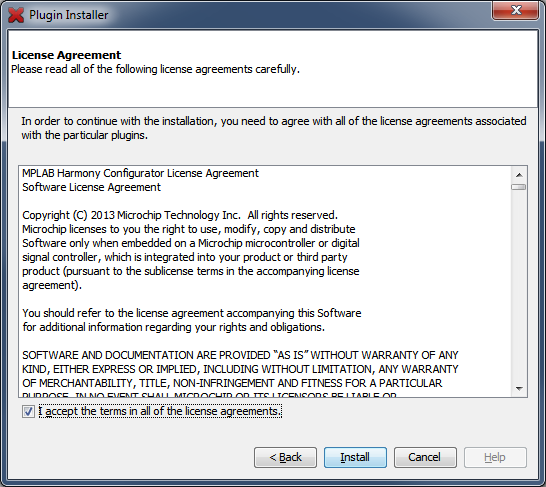 The instructions are provided in detail in the steps below. 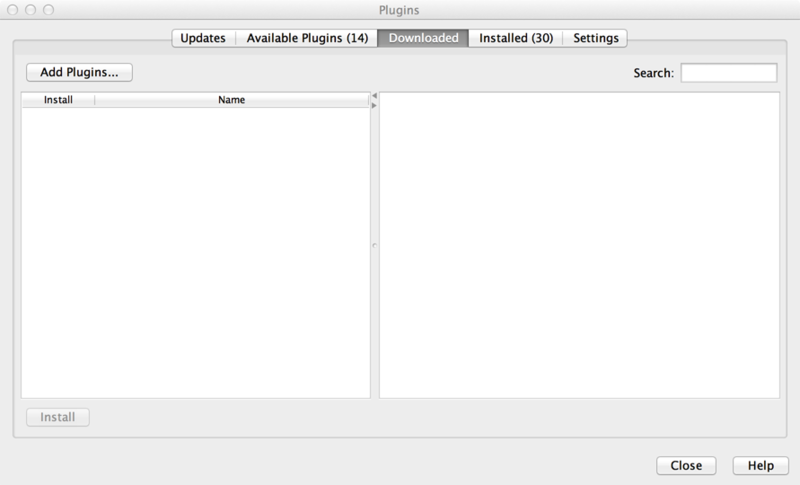 Click the Add Plugins… button on the upper left. 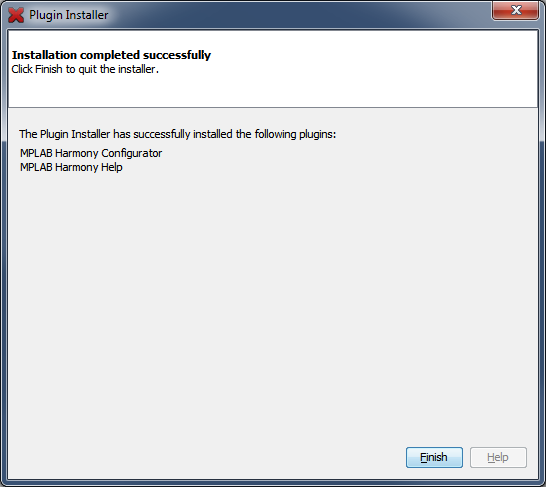 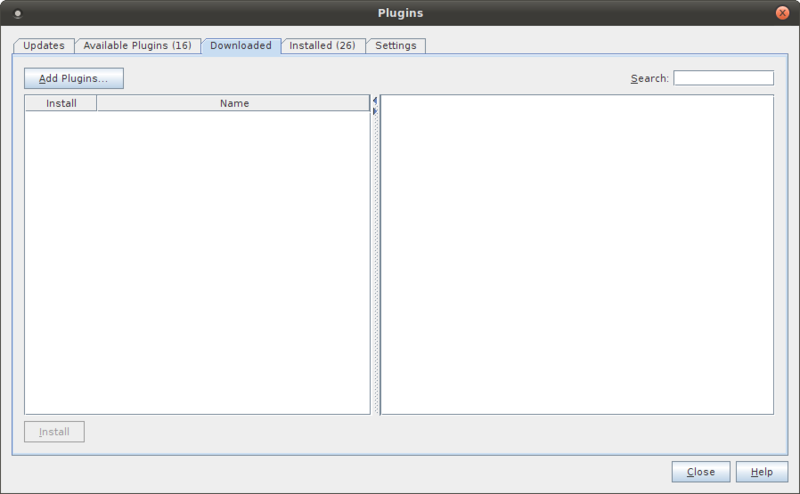 Click the Install button at the bottom left of the plugin manager window. 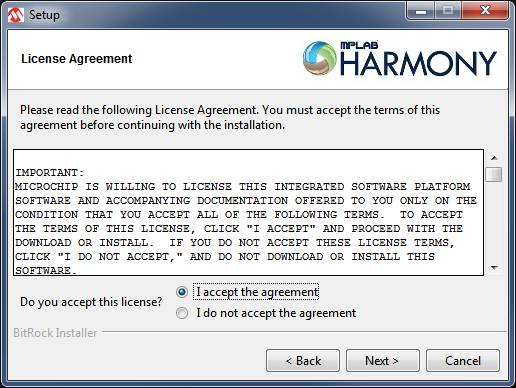 If you concur, check the box next to "I accept the terms in all of the license agreements". 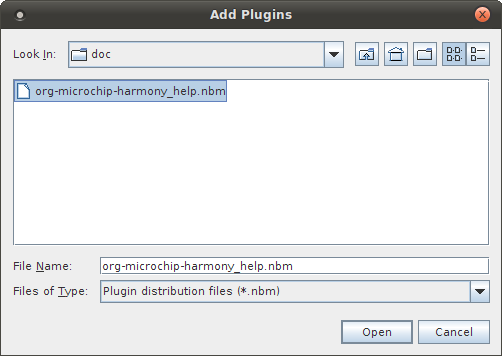 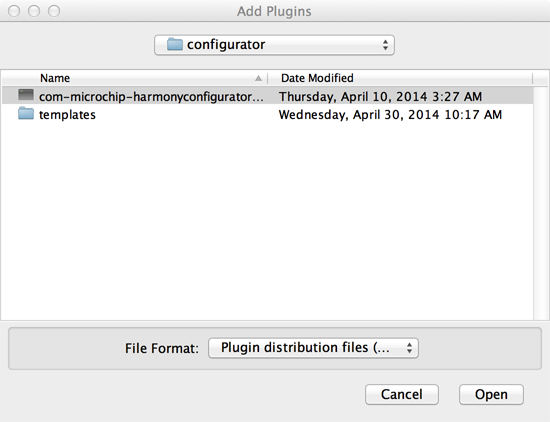 Although the plugins were created and provided by Microchip, they have not been digitally signed. 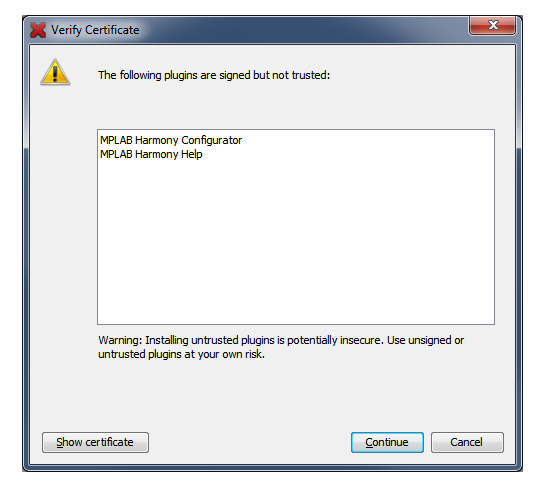 This will trigger a security warning in Windows. 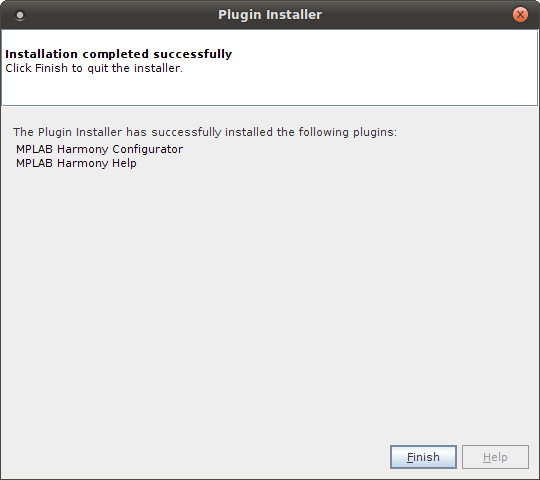 If you wish to choose an installation location other than the default, you may do so here. 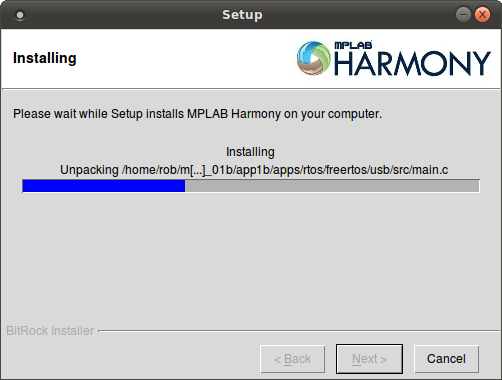 Note that you cannot install outside of your home directory unless you have write permissions or run the installer as root or by using sudo. 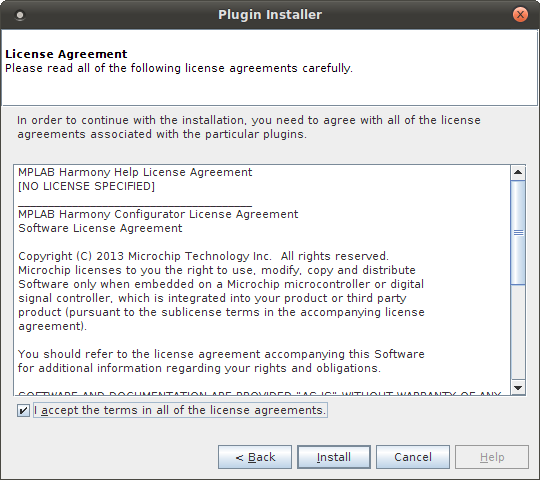 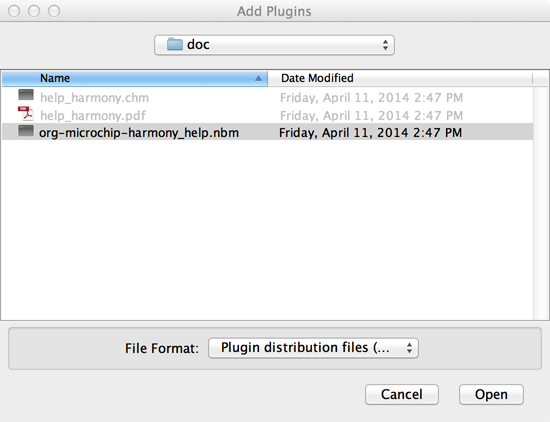 Although the plugins were created and provided by Microchip, they have not been digitally signed. 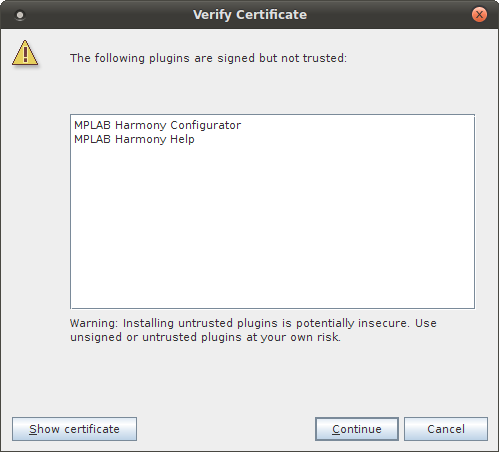 This will trigger a security warning. 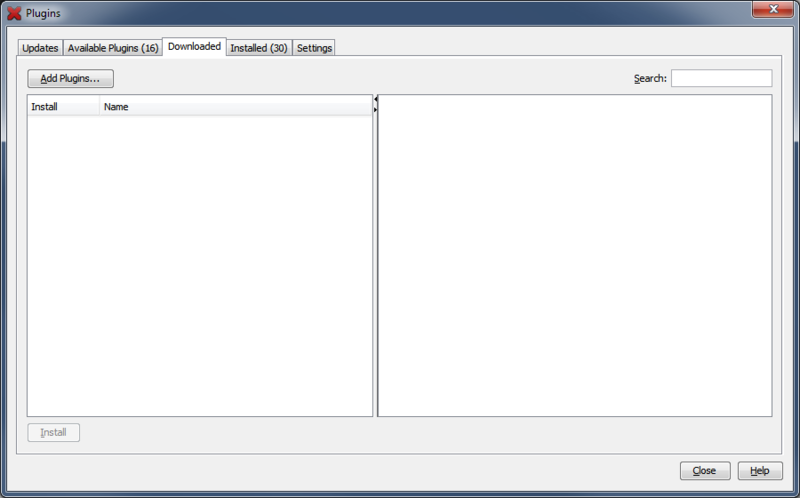 Depending on your security settings, you may get a window asking if you are sure you want to open this file. 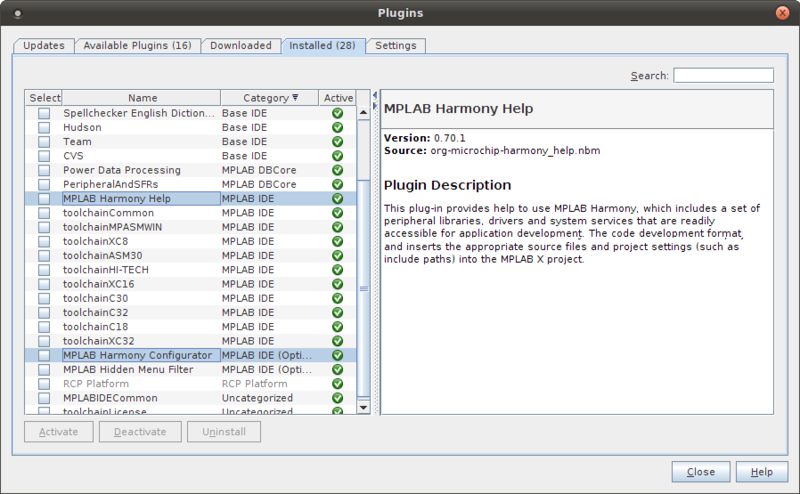 Answer "Open". 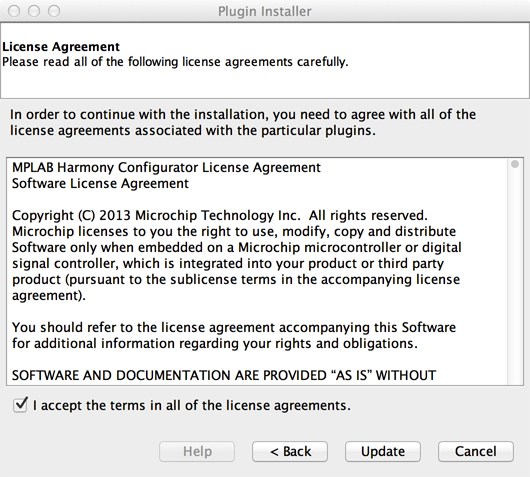 Although the plugins were created and provided by Microchip, they have not been digitally signed. 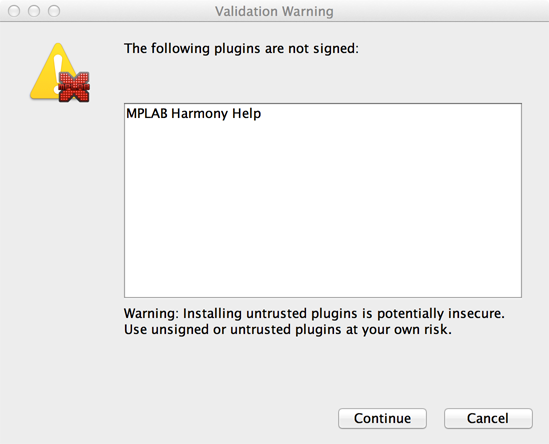 This might trigger a security warning.